Flightless Fruit Flies, a genetic variation of Drosophila melanogaster, make very convenient feeder insects for most reptiles and amphibians. The average size of an adult fruit fly is about the size of large pinhead crickets, but do exhibit sexual dimorphism, meaning the females are slightly bigger than the males. A distinct patch of black at the abdomen is also a male identification marker. The flies have everything they need inside the container in which they are shipped, just feed to your animal as needed by shaking out any amount of flies. Make sure always to keep a few flies in the culture for breeding purposes. 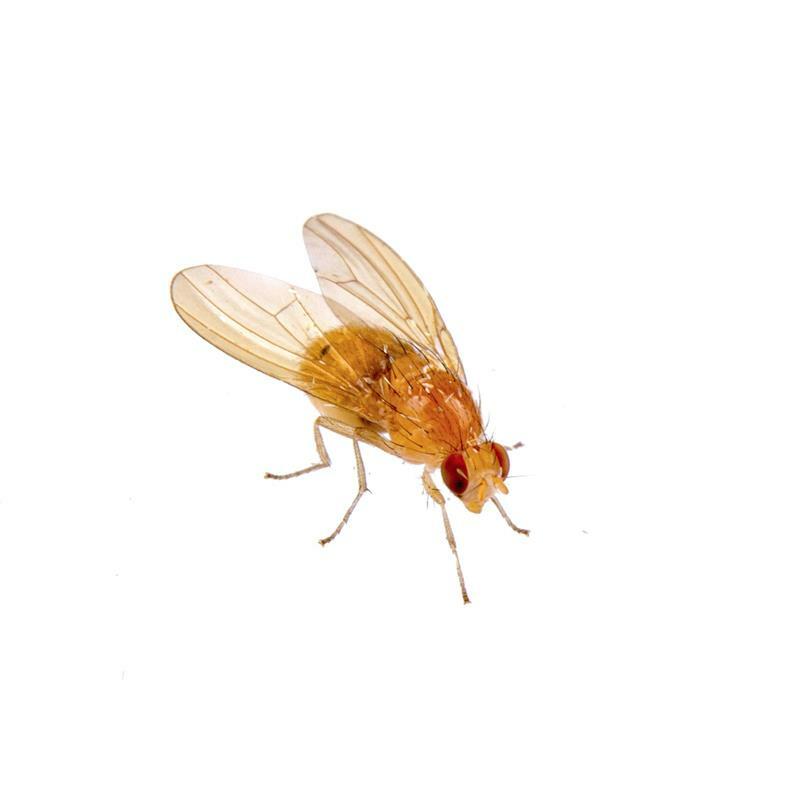 Flightless Fruit Fly cultures have a lifespan of about one month, and the larvae will continually pupate from eggs laid by the adults in the culture during this time. Each vial contains 40-50 adult flies with medium and can produce over 500 flies over the life of the culture. For preservation, the culture should be stored at room temperature and kept out of direct sunlight. Regular fruit flies are about 1/16." Giant fruit flies are about 1/8."